Here we go. With Agents of S.H.I.E.L.D., Marvel Studios takes their first step from dominating the silver screen to the small screen. The anticipation for this one has been building for quite some time, tail ending off the most recent Marvel box office juggernauts, Iron Man 3 and The Avengers. Joss Whedon and co. hope to put on display the excitement of the Marvel Universe through the eyes of the non-superpowered ranks of S.H.I.E.L.D (Strategic Homeland Intervention, Enforcement and Logistics Division). Agent Coulson (Clark Gregg) and Agent Maria Hill (Cobie Smulders) are the two major mainstays from the Marvel movie-verse who appear in the pilot and they’ve got a big cast to back them up. 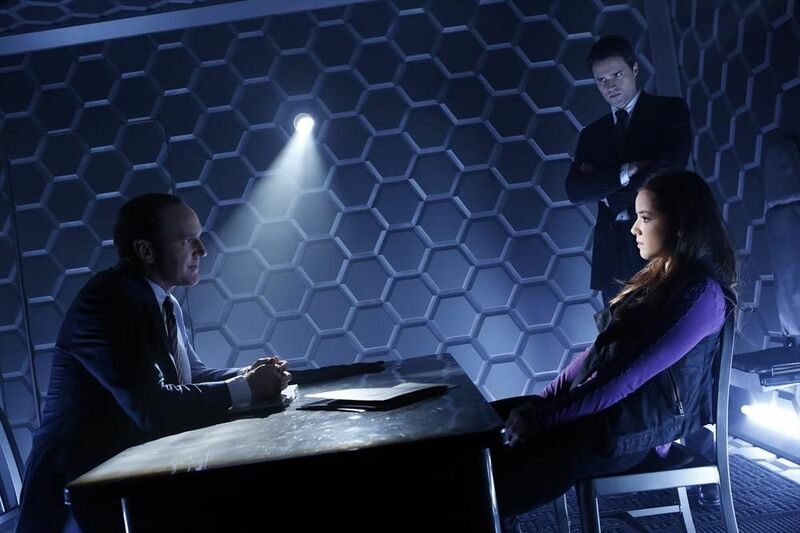 Hit the jump for a recap of the premiere episode of Marvel’s Agents of S.H.I.E.L.D. The episode begins with an ominous voice retelling the events of the Avengers flick and most likely laying groundwork for the threat that faces S.H.I.E.L.D this season. J. August Richards (as Mike Peterson, a factory worker and single father), starts displaying some super powers right out of the gate, after shakily telling his son that they won’t be able to afford the Avengers toys he was eyeing. A nice world-building scene, in that one of the coolest parts of the show should be establishing a world that is introduced to the likes of a team of aliens, gods, and monsters and how the general populace reacts to this. Cue Paris (!) 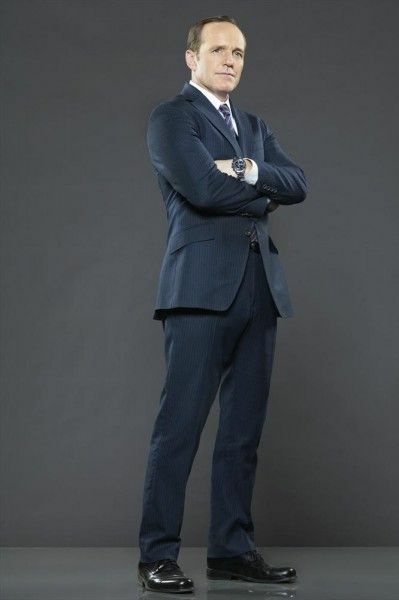 as agent Grant Ward (Brett Dalton), clearly the character made for the audience to relate to on the ground floor, accesses a fireplace/batcave in a woman’s apartment and begins fighting some thugs Bourne Identity–style. I’ll give the show one thing: two big action scenes in the span of five minutes is a nice change of pace and I’m digging the fast clip the plot is taking. It was nice to see Whedon’s signature humor on display as well as Ward and Maria Hill discuss why the heck its called S.H.I.E.L.D anyway. Fantastic intro to Agent Coulson, balancing a flair for the dramatic with some gut-busting humor. Stepping from the shadows to reveal what is most likely going to be one of the biggest mysteries of the season, how the heck did Coulson survive being stabbed by Loki? Clearly, something is amiss as everyone in the S.H.I.E.L.D organization knows, except of course for Coulson. The banter between the characters feels supernatural, and you can tell the actors were really having a blast with their roles. The show is, in typical “Scooby Gang” fashion from Buffy the Vampire Slayer, doing well to establish the main cast of characters that audiences will be following this season, and, most likely, seasons to come. 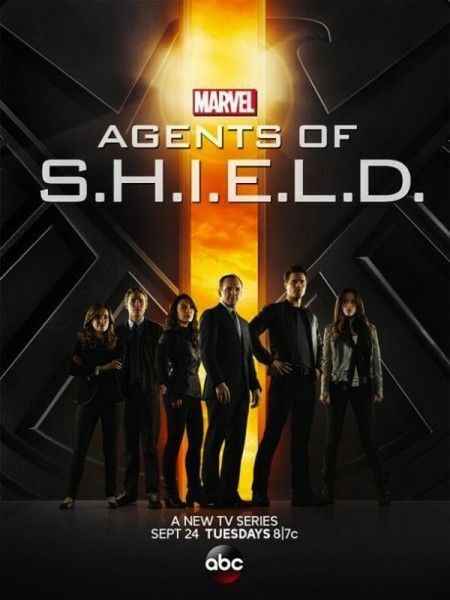 We’re introduced to Skye (Chloe Bennet), a hacker/super hero fan girl who is revealed to be the ominous voice at the beginning of the episode; Agent Melinda May (Ming-Na Wen), a vehicular specialist for S.H.I.E.L.D with a big reputation; and Agents Fitz and Simmons (Iain De Caestecker and Elizabeth Henstridge respectively) who act as S.H.I.E.L.D’s “Q” from the James Bond series, providing tech support, all of whom have their own quirks and charm. The show does a great job of throwing curve balls at the audience. Going into this episode, I didn’t see Mike turning out to be the villain of the story, but considering what he does to his former boss in the factory, its a foregone conclusion that he’ll, at the very least, be an anti-hero. There’s certainly more than enough mysteries being set up in this episode to keep the audiences coming back to see how they’re eventually resolved between Coulson’s return, Peterson’s powers and where he got them, and how this team will be able to function as a unit with all the different misfits. The references from Avengers come in hot and heavy during the pilot, with nods to the Super Soldier Serum that created Captain America, Gamma Radiation that created the Hulk, and “Extremis” which had a huge role in Iron Man 3. Watching the pilot, it almost feels like you’re watching another installment of the movies themselves, rather than simply a spin-off television show. The budget certainly helps with this in that the effects look like they have some serious money behind them. The show ends with a nice conclusion of Mike Peterson, S.H.I.E.L.D, and the mysterious antagonists that gave him his powers, colliding in a train station. The show is off to a fantastic start, and I’m genuinely interested in learning more about the characters, the world they’re in, and the mysteries that have been set up. Good show Marvel. -Some great Marvel nods to fans, such as “Journey Into Mystery”, “With Great Power comes…a ton of weird crap” and S.H.I.E.L.D’s flying car at the very end. – Great to see more and more of Whedon’s favorite actors from Buffy, Angel, Firefly, and Dollhouse making appearances. I always felt that more of these actors should be given bigger roles, and Whedon apparently thinks the same. – One flaw of the pilot is that it does move almost too fast for its own good. I think it could have benefitted from one or two “quiet” scenes, digging into the characters a bit more. Though this is the pilot episode, so I can understand that ABC needs to lay it all on the line with the time that they have. – J. August Richards was my favorite actor of the night. Why isn’t he in more stuff? -The name of the evil organization is “Centipede”? I get it couldn’t have been Hydra because of their movie involvement, but how about “Leviathan” or “Serpent Society”?